Looking for a new Acura for sale near New Britain? 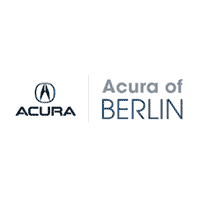 Acura of Berlin has you covered with over 97 new vehicles to choose from. Choose from the popular Acura RDX SUV with all-wheel drive or the luxurious and sporty TLX sedan with 290 hp. Whichever model you choose you can rest assured you’ll get an unbeatable deal with our Perfect Price Policy. With a large selection of new Acura models and colors to choose from, we’re sure you’ll find a new vehicle that’s perfect for you. Browse our inventory to discover the brand new Acura you’ve been searching for to upgrade your Middletown commute! Perfect Price Policy – Get our best price first without having to haggle or negotiate. Acura Accelerated Service – Routine maintenance in 60 minutes or less with wash and vacuum. No appointment necessary. Once you’ve browsed our inventory and found the new Acura car or SUV you’re interested in, contact us to get behind the wheel for a test drive!